Gorilla Rampage game where you will join the team of "Angry Mad Gorillas" which is fighting for revenge. 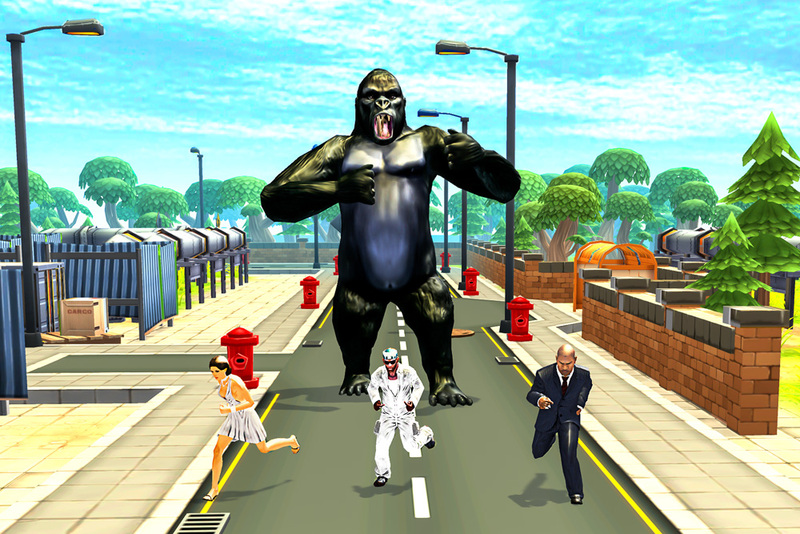 Experience the thrill of smashing city, in this "Gorilla Rampage Game". In this game, you are a big Gorilla trying to attack big city! Live life as real "Gorilla" and survive in the wilderness as long as you can with Mad Gorilla Rampage. The most realistic "Gorilla Simulator Games" available on Google Play. Fight for Gorilla's revenge furiously while people attempt to reign you in. Rampage through the city, be an Angry Gorilla. 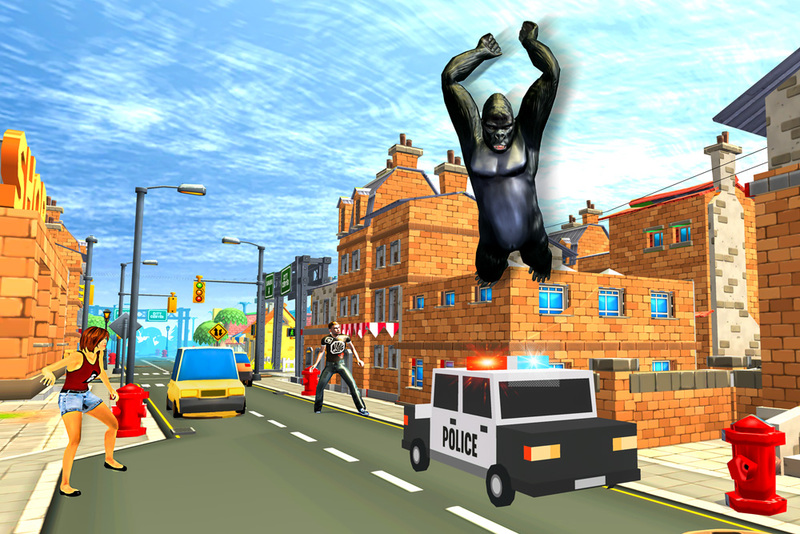 This is a gorilla city attack game that you could never be imaging before. In this Rampage game, simulate control your mad gorilla and attack the citizens and destroy the city. Mad Bigfoot Gorilla from island is in city!! 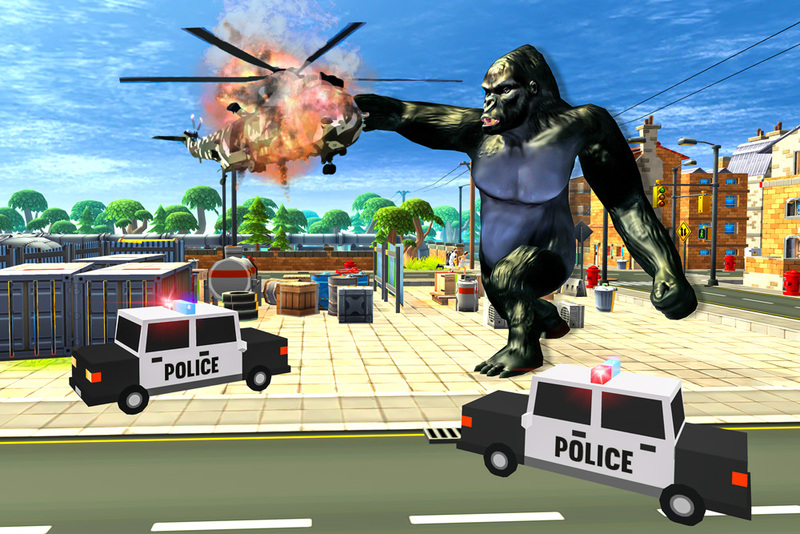 Creating chaos, rampage and attack on citizens and their vehicles in gorilla rampage game with Kong city attack 2018. People should beware from the wild attack from this ultimate white gorilla. Gorilla fighting games were never been full of horror. 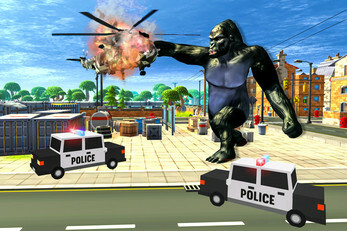 Control your angry ape or wild Kong and start destruction around the town in gorilla war game. Your goal is to survive in the epic battles between big gorilla Kong and humanity. Gorilla Rampage: Angry Kong City Attack is unique idea in which you will play as ultimate white gorilla. The city is under attacked by different type giant gorilla and huge monkey Kong who’re destroying everything. Attack on police, kill them before they hunt you. People are in extreme danger because of the destruction by the ultimate gorilla Kong city rampage. Real forest wild life simulator with jump, pounce, roars with pumping chest, smashing objects and heavy punch attack powers in Kong battle. Release your inner animal-cause ultimate destruction in the modern city. You have immense power to demolish the city. You’re a jungle beast on the loose! Trample down swing sets and trees; smash and dent cars; feel the thrill of disturbing unexpecting pedestrians from their homes! Thrash and run through the city unrelentlessly. Fight for your freedom furiously while people attempt to reign you in. Experience the thrill of beating down your victims, chasing attacker and hunting down your kidnapped child. Awaken the monster inside you and demolish everything you see.